We welcome any questions or concerns you may have regarding your project and equipment rental questions. For example, we recently received a question via our quick quote portal regarding heater rentals. We were happy to accommodate her project needs. Call the Duke Company for all your construction equipment needs – including a wide variety of construction equipment rentals including the 20,500 BTU Patron E6 rental. The 20,500 BTU Patron E6 is the professional’s choice because it’s designed for prolonged use applicable in many challenging situations. 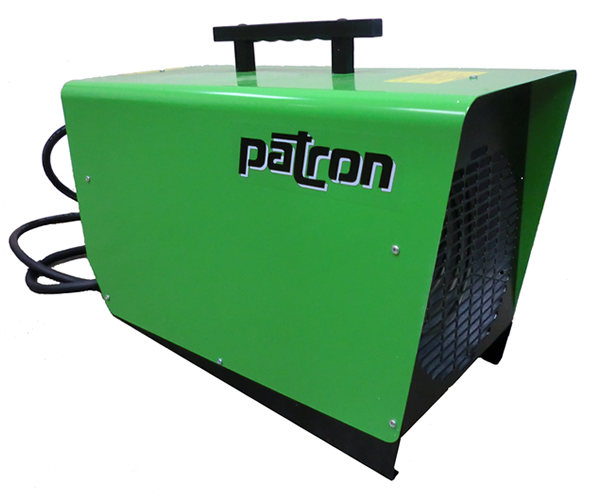 The Patron E6 is capable of a quick/high temperature increases. It features: a powder coated steel housing, and a high quality sealed motor, overheat protection and an outer steel casing that stays cool when operating the heater. The Duke Company carries the Construction Electric Heater Rental – the Patron – E6. It provides powerful 20,500 BTU/hour of heat, at 116 CFM of hot air.